A settlement agreement was announced for recipients of failed hip replacement systems manufactured by Howmedica Osteonics Corp. 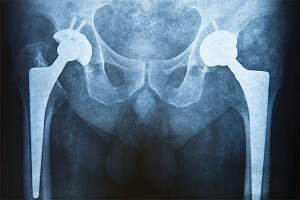 Specifically, individuals who have been implanted with Stryker ABG II or Stryker Rejuvanate Hip Replacement Systems may be eligible for compensation in the announced settlement. Under the settlement, Stryker will provide a base payment of $300,000 to patients that received the Rejuvenate or ABG II hip systems and underwent revision surgery by November 3, 2014, to remove and replace the devices. The base award may be adjusted upward depending on certain factors. For example, payments will be increased for extraordinary medical injuries, such as multiple surgeries (re-revisions) or infections and other medical complications suffered as a result of revision surgery. Stryker Corporation began selling the Rejuvenate hip system in 2009 and the ABG II hip system in 2010. Two years later, Stryker recalled these hip implants due to “fretting and/or corrosion” in the implant which could result in metallosis (release of metal ions into the tissue and bloodstream) and ultimate failure of the hip implant. The deadline for eligible patients to submit their claim for payment under the settlement is March 2, 2015. Patients with Stryker Rejuvenate or ABG II hip systems that fail and require revision surgery after November 3, 2014, are not eligible for this phase of the settlement and retain their rights to pursue claims for compensation against Stryker. If you or a loved one has questions about a Stryker hip replacement you have received, contact Cellino & Barnes now at (800) 888-8888, or contact us online.